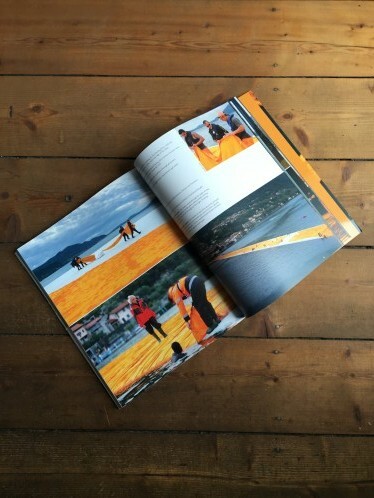 The Floating Piers: Lake Iseo, Italy, 2014-2016 is Taschen’s new publication highlighting the technicality and complexity of Christo and Jeanne-Claude latest project The Floating Piers. A three kilometers long walkway on the lake Iseo bridging the city of Sulzano to Monte Isola and to the island of San Paolo. The Floating Piers is Christo’s and Jeanne-Claude’s first large scale project since The Gates realized in 2005 in the Central Park. The project of building an inflated pier was already present in 1969 when Christo proposed to build a Wrapped Inflated Pier in the delta of Rio, and then in Daiba. The projects were never realized. The Floating Piers on the Iseo Lake are therefore a long lasting wish of Christo that finally took shape this year from June 18 to July 3. 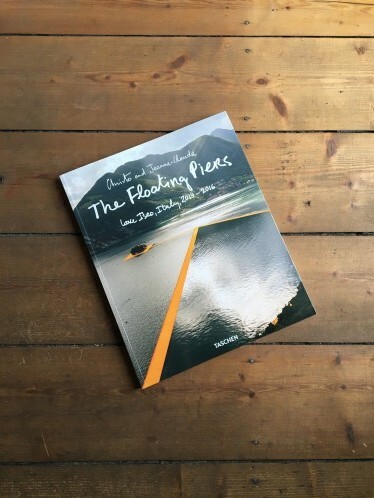 With pictures and text by Wolfgang Volz, working partner of Christo and Jeanne-Claude. 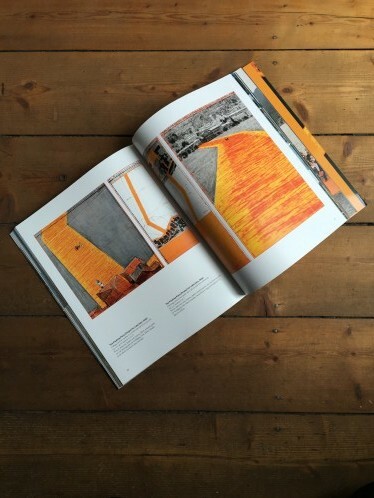 the book, The Floating Piers: Lake Iseo, Italy, 2014-2016, gives an insight into each detail that made the 100’000 square meters of shimmering yellow fabric float on a modular dock system — from the textile company who realized the dahlia yellow, to the production of the anchor and the scuba divers setting up the piers. In order to honor the ephemeral Floating Piers, that took place from June 18 until July 3, The Brescia Musei is displaying Christo and Jeanne-Claude. Water Projects — an exhibition presenting water-related projects by the couple and artist duo. Displayed chronologically the exhibition aims at giving an historical perspective on the works as well as insights into The Floating Piers experience.